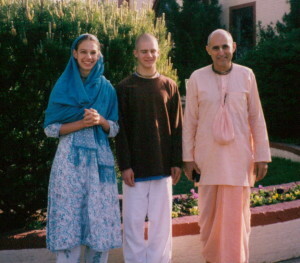 Twenty years ago in the spring of 1995, when I was just 16-years old, a gurukula teacher from Vrindavana came to the New Badarikashram in Denver, Colorado. He wore saffron, walked with slow deliberate steps wearing wooden shoes, and brought a piece of Vrindavan with him wherever he went. His name was Kurma-rupa Prabhu, and very few devotees knew of him at that time. I certainly had never heard of him. No, he wasn’t Kurma the chef, we were told, who was the only Kurma I knew of. Our temple president, Janmastami Prabhu, had brought him to our temple and he stayed with us for a month or was it two? I don’t remember exactly how long it was, but I remember that he quickly won the hearts of all the devotees. We felt like we had come upon a secret treasure! That year he gave a seminar on Nectar of Instruction every evening, and his wisdom, devotion, integrity, and dedication inspired me tremendously. 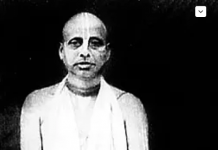 He was the first devotee I encountered who exemplified the Vaisnava qualities I was desperately looking for. He was calm and peaceful, conscious and conscientious. He was affectionate and so very kind. Though completely renounced, his heart was soft and he encouraged many he met with his personal dealings. He was completely pure-hearted, with no ulterior motives or hidden agendas. He was learned and well-read, but more importantly was practicing sadhana on a deep level and brought realized experience to his knowledge. He was noble, and had perfect etiquette. He always rooted for the underdog, and was a champion for women, children, and eventually his cows. He loved the Vraj way of life, and saw beauty in Vedic culture, not in a way to oppress people, but in a way to bring dignity to people. Kurma-rupa was also bold and outspoken. He spoke of listening to your heart, finding inspiration wherever you could, being confident. His face would contort with disgust when he spoke about the countless devotees walking out the back door, while the institution gave importance to only those new devotees coming in the door. He said he preferred to preach to the devotees we already had, to keep them encouraged and inspired. 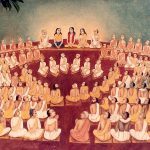 He spoke out about gurus who accepted worship above their position, or who made a mockery of the renounced order of life by living in too much pomp and opulence. He encouraged honesty, by himself always being forthwith with who he was and by living according to his principles. He left us in June of 1995, leaving me with all these impressions. Shortly afterwards in a handwritten letter I asked him to be my guru and give me initiation. My conviction was firm, and his association had affected me greatly. What followed was a deep correspondence that spanned over three years, in which he generously gave me his siksa, his time, and his wisdom. Prabhuji continued to visit Denver temple during that time, so along with our correspondence I got his association every spring/summer. He formed the foundation of my spiritual life, during the time when I was transitioning from a devotee child born to devotee parents, to a devotee adult committing and choosing to be a devotee. He taught me so very much. I was an immature teenager, full of more dogma than realization, more self-righteousness than true spiritual experience. 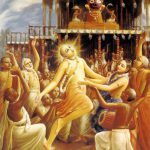 Kurma-rupa Prabhu, through his careful instructions, differentiated between internal bhakti which can be hard to detect, and that which can mask itself as bhakti externally. He had great contempt for honor and prestige, and repeatedly instructed me and others to the importance of integrity and humility. 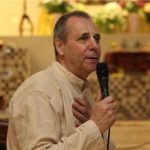 He was loyal to his friends who were, at that time, being ex-communicated from Iskcon because of speaking out, and was fearless in his preaching. He taught me of the plurality of gurus, of finding that guru who would help me the most in my Krsna consciousness. He said it was really actually so simple. That person, whose influence had the greatest effect on my practice, was the most important guru. He told me to carefully study Srila Prabhupada’s books, and be confident with my realizations from that study. To not be swayed by popular opinion, and to always be careful in whom I associated with by finding that association which would elevate me, rather than degrade me. Though I asked him repeatedly for initiation, and though he thought about it with careful and deliberate introspection, he ultimately felt that it wasn’t for him. He told me that he feared our sweet relationship of him being like an uncle to me, like a family member, would be changed by the formality of initiation. He was very affectionate and would sometimes sign his letters, “your fast friend.” He didn’t want the solemnity of the ceremony to impede our friendship. He also told me that he felt that Srila Prabhupada had other plans for him. He encouraged me to be patient, and to become increasingly aware of a proper understanding of guru. He instructed me again and again that Krsna would hear my prayers if I continued to pray and follow the process already delineated for me by the many gurus I already had in my life: Srila Prabhupada, my parents, husband, mentors, and him. In retrospect, taking initiation was simply the next step I had ordained was necessary for my career as a “good” devotee. I was proud of the fact that I had begun chanting a fixed number of rounds at the age of nine years old, and had gradually increased to 16-rounds by the time I was a teenager. The approved checklist for any guru of my choosing to initiate me was all ticked off. 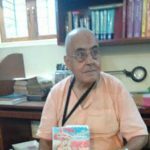 I was chanting 16 rounds, had always followed the four regulative principles, attended the morning program each day, was engaged in service at the temple, and was fully dedicated to the mission of Iskcon. I was thoroughly qualified for initiation, I rationalized, and just needed to find my guru to become the perfect package of a first-rate devotee girl. Krsna did bring me to Kurma-rupa Prabhu, the excellent guru for me at the time. Prabhuji laid the foundation for me, so that a much more mature understanding of guru would emerge. He enabled me to have the personal conviction in making the unpopular decision of accepting my ultimate diksa guru, Swami Tripurari. Through Kurma-rupa Prabhu’s cultivation, I came to the stage of needing a guru, not just wanting one. The process I had approached as a teenager was one of using my head, whereas I needed to use my heart. When my necessity was great, and my hunger considerable, Krsna did guide me to my Gurudeva. Kurma-rupa Prabhuji, though, trained me on how to be a proper disciple, and I am eternally grateful that Krsna brought us together for those important years of my life. He was a true bhakta without borders, and always, always, always, looked to the need of the individual over the need of the institution. I have many fond memories of my time spent under his care. Classes in Denver, letters I will always cherish, hearing him speak Spanish with our Mexican devotees, seeing him eating a traditional Mexican meal and mole for the first time since becoming a devotee that Tushita cooked for him, his wedding present to Madan Gopal and I, visiting him in Vrindavana, him staying with us in Greensboro when I was pregnant with Gandharvika, so many talks, encounters, and kind interactions flooding through my mind these past days. I unfortunately didn’t get to serve with him in his Care for Cows, which became his ultimate legacy. This was obviously the plan Srila Prabhupada had for him. When we were in Vrindavana in 1998, the beginning of Care for Cows was sprouting. He told us at that time that a cow had started coming to his door at a regular time, and he had begun feeding her. That cow told her friends, and a few more had started coming. 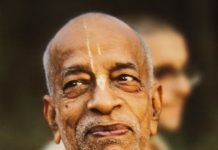 It was at this time that he was moving out of the gurukula building at the Krsna-Balarama Mandir, a place he had been since his arrival in Vrindavana in the 1980’s. He was spreading his wings. A donor had just recently come forward to pay for feed, and so he had begun feeding this group of cows at a designated location every day. From there land was donated, and the rest is history, as his vision took hold and his greatest work emerged. I did visit him in Vrindavan in January 2011, which is the last time I got to see him. I chatted with him, and got to spend some time with him at Care for Cows. It was a cold morning, and the cows were just starting to awake and be fed. He was happy, and in his element. I am so grateful I had that chance to see him in his cowherding mode. As I look at Kurma-rupa Prabhu’s life and recent passing, I see that he lived with purpose for his eternal future. I am reminded of the immense importance of cultivating a future in that world which is eternal. It is so easy for me to become distracted in erecting plans and schemes for my future comfort in this temporary material world. The prospect of my eternal future is of greatest necessity. Kurma-rupa’s sadhana in this world, the practice of caring for cows, has become his sadhya, his goal in that eternal realm. It is almost as if his transition was seamless, as we all felt the cows of Goloka coming for him. As the cows of Vrindavana bid him farewell, we knew in our hearts that the cows of Goloka waited for him. There was no doubt that his future is safe and bright, and that he had nothing to fear at the prospect of dying. For someone of materialistic mentality like me, this is the greatest fear. Yet, Kurma-rupa Prabhu made death, even for me, a beautiful thing. He reminded me of Bhismadeva, the great grandfather of the Pandavas, who chose his time of death. 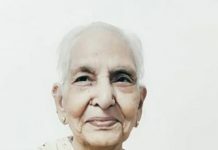 Kurma-rupa gave devotees around the world just enough time to say good-bye and catch themselves from the reeling news of his prognosis, but was not hanging on to the material body even slightly. 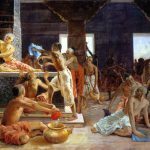 In his deliberate manner, always so deliberate, he left fearlessly during the most auspicious and rare Ekadasi during Purushottam Mas, surrounded by the cows, the devotees, and the holy name. It was beautiful. It was a perfect way to die. He left us quickly, and with his disappearance has left a hole of void in my heart. I have felt the past few days, a difficulty to catch my breath, as if there isn’t quite enough oxygen in the air to breathe. As if his leaving sucked the life-giving force of the universe with him. His care was wide-spread, and his love felt by many. I know there are numerous devotees feeling the impact of his loss as well. To those devotees, I offer these words of memories and thoughts to. I was hesitant at first to share this for two reasons. First, these memories are a deep part of who I am, for Kurma-rupa’s influence wove itself into the finer aspects of my being. To be vulnerable is always a risk. Secondly, Prabhuji told me to not use our relationship to “draw attention to either me or you.” In his departure, I don’t want to bring any disrespect to him, or any attention on myself. But, speaking about a devotee such as Kurma-rupa is beneficial for both myself and anyone who reads this. For this reason I have given up my hesitancy in order to share a portion of my good fortune. His good qualities are numerous. I was lucky to be a small recipient of his kindness and good guidance, and that has been to my eternal benefit. I am most grateful. My prayers for the peaceful sojourn of his soul are inconsequential, for through his dedicated service he has insured his greatest ideal. My only prayer is that when my time comes for me to leave this world, he remembers this old friend, and with his cows in front of him, behind him, and on either side of him, comes to lead me to his Gopal.